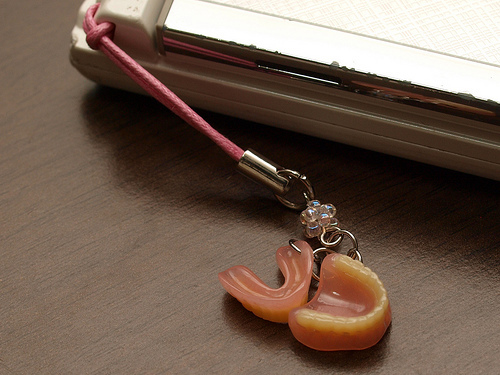 Today, I’m going to introduce this unique denture-shaped strap from B-LABO. 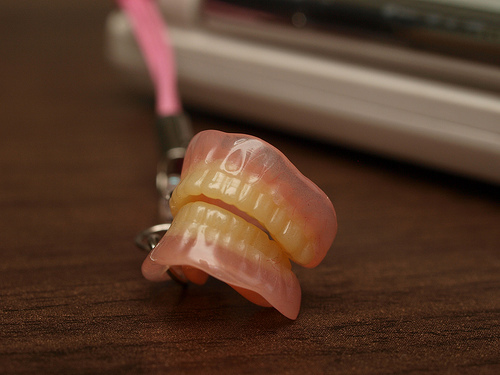 The Bungu-o (stationery king) got this funny strap from his friend who is a dentist. According to the dentist, the impression of teeth is not perfect, but still this is well made in terms of dentistry. It looks quite authentic and slightly disgusting. The maker who produced this is not a novelty toy company, but an actual dental impression maker. That’s why it’s so elaborate. Maybe a model with real metal braces would be interesting as well!